Cockroaches are identified as a high-risk pest! Sights of this pest are quite disturbing. These pests easily infest residential, commercial and any other space. The cockroaches breed rapidly when they find a suitable condition. These pests are highly resilient and have resistant power to several insecticides. If you notice cockroaches roaming around your property, contact the pest control experts at Enviro Safe Pest Control who can eliminate the threat successfully. We will look around your property, determine how serious the infestation is and devise the most effective strategy to eliminate their presence completely. Cockroaches are nocturnal and remain active during the night. They emit an unpleasant odour and contaminate the food they come into contact with. They also pose a serious threat to human health as they transmit pathogens and spread the allergens. The pests invade human dwellings and are commonly found in the kitchen, bathroom and any other place with a suitable source of food. There are certain things you must learn before you take steps for Cockroach pest control. 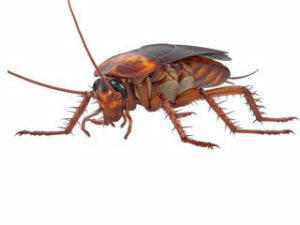 The list includes the major health concerns related to Cockroach infestation and the symptoms of the infestation. You must also be aware of different species of cockroaches found in Australia. DIY techniques can only provide a temporary solution for your cockroach problem. Hiring our professional pest control experts is the best way to eliminate the pests completely from your surroundings. How Can We Help You With Cockroach Control? At Enviro Safe Pest Control, we dedicatedly provide cockroach pest control Melbourne for residents and offices. We use gel-baiting method in which the bait gel is applied to crevices, cracks, hinges, below the sink, drawers and other potential entry points. This bait gel will poison and kill any cockroaches that fed on it. If the infestation is serious, we will spray powerful insecticide on the affected areas. If you have any questions or would like to schedule an appointment with us, give us a call on 1300 997 272.